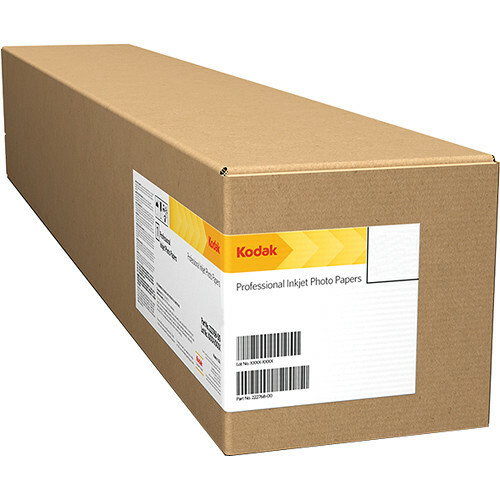 This 36" x 100' roll of Glossy Solvent Backlit Film from Kodak is a polyester material that is 8 mil thick and designed for use with solvent, low-solvent, and UV-curable printers. It features a glossy surface finish and is useful for backlit signage in commercial applications as well as non-backlit display. Box Dimensions (LxWxH) 36.0 x 6.0 x 6.0"